Tula’s Institute is one of the best engineering colleges in Dehradun which provides best hostel life; the hostel atmosphere forms an essential part of the young budding engineers and management graduates. 6 hostels are located in Tula’s campus, out of which 4 are boy’s hostel and 2 are girl’s hostel. Each room is on twin sharing, rooms are spacious, ventilated, airy and well lit. Hostel life is an excellent opportunity for the development and enrichment of the character and personality of inmates. 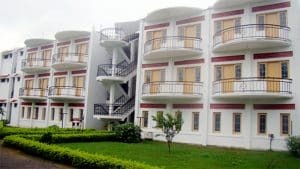 Tula’s Institute in known for the best engineering college in Dehradun for providing 24×7 security for the students living in the hostel and makes living on campus safe and comfortable. A fully qualified MBBS Doctor is available at the campus. This Committee is a student run and student governed committee committed to provide unique, exciting, diverse, fun, educational atmosphere for the hostelers. Committee organizes regular movies shows at the auditorium; inter hostel sports matches, recreational trips. This committee also focuses on the keeping the secular harmony among the students by celebration major religious festivals. The students in the hostels roll only have the right to enter into mess premises. The students are required to come to the mess during their specified timing only, not before or after. Mess Committee is governed by the students, the mess committee makes sure that students’ health and nutrition is well taken care of. Mess serves breakfast, lunch, evening tea and dinner every day and the weekly menu (Chinese, North and South Indian cuisines) is available with mess in-charge; menu is made by the students and the cuisine is changed twice a month. A favorite spot for any student in any college is always the Cafeteria. It is the place where one can drop by in any frame of mind and still have a great time. It is here that success is enjoyed and victory is celebrated; friends interact the most, solace given and basically a place to chill out. College cafeteria not only serve basic cuisines but also serves students favorite pasta, macaroni, dim sums, pizza, shakes etc at reasonable price. Snacks, soft drinks and fresh juices are also available. It functions during Morning 8:30 to Evening 10:15 which extends to 2:30AM during examinations.